After serving as the Tompkins County poet laureate, Zee Zahava’s time has come to an end. Her position is now being taken on by a woman who is looking to further Tompkins County’s relationship with environmental justice-based poetry. Melissa Tuckey, the new Tompkins County poet laureate, has a clear course and is now looking to execute her agenda in the best possible way. From her humble beginnings in poetry as an inquisitive 14-year-old in Cincinnati reading the works of Emily Dickinson and Walt Whitman, Tuckey’s mind flourished and began to thirst for more. She soon found her place in the world of poetry, using it as a platform to express her views on the injustices of the world. She’s especially passionate about natural poetry. Tuckey’s love of poetry and her activist spirit came together when she was working as an environmental activist after she graduated from Ohio University with her master’s in literature. When she went to graduate school, she wanted to keep that activism in her poetry and earned her MFA in creative writing/poetry from George Mason University. This would also help her to create a national political poet organization called Split This Rock. Along with her work as an activist, Tuckey is also a published author. Her first book, “Tenuous Chapel,” is a collection of her poems that was published in 2013. 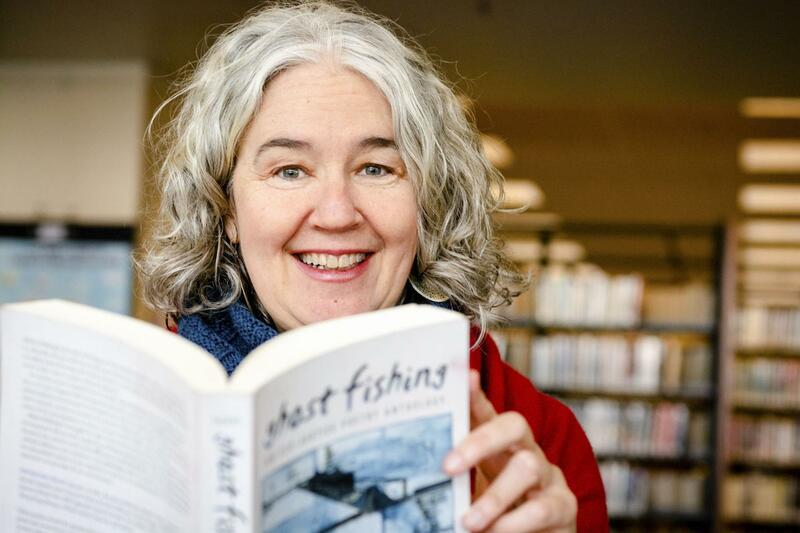 Her latest book, though, is a collection of eco-justice poems called “Ghost Fishing.” According to Tuckey, the large anthology took six years to complete and has a unique structure. Now that she is Tompkins County’s poet laureate, Tuckey plans on doing quite a bit to drum up the community’s interest in poetry. In addition to organizing readings, she is looking forward to giving some talks about “Ghost Fishing.” Plus, she plans on continuing to hold a workshop she does about poetry.